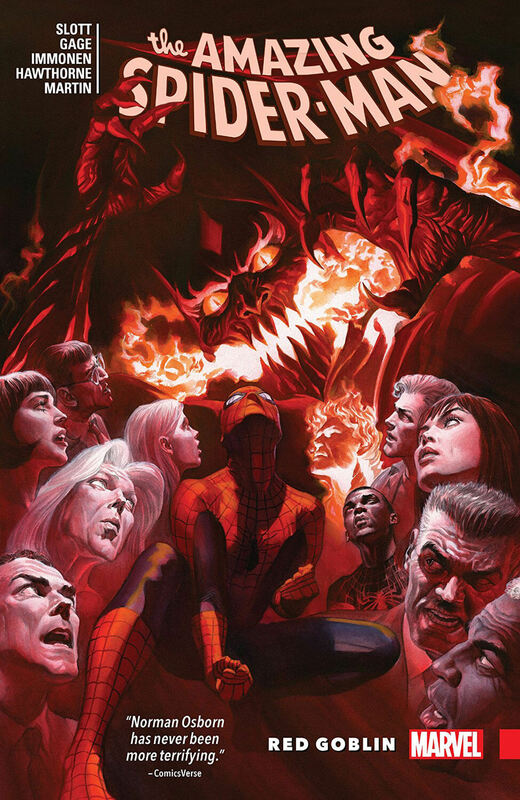 Spider-Man faces a new goblin Menace while being hunted down by Norman Osborn and his Thunderbolts. For long, Peter Parker has been fighting crime as the Amazing Spider-Man and selling his own photos to J. Jonah Jameson at Daily Bugle. Even though JJJ was bashing his alter-ego, he was okay with the paycheck but ever since Dexter Bennett became his new boss, he has been feeling like being forced to cross a line and so, he quit the job. Lately, he has faced a new goblin named Menace, who was vandalizing campaign ads for mayoral candidate Bill Hollister and had a run-in with him. They exchanged blows and then the hero is left under rubbles as it escaped. He sees a wave of people coming out of that building and takes some photos for the sake of a possible news story. Since Dexter Bennett had him blacklisted at every paper in town, he goes to the office of Front Line, an independent newspaper ran by Ben Urich. They assume it to be an illegal sweatshop upon looking at the photos, even found links to it with another mayoral candidate Randall Crowne and they published a piece on him the next day. Worried about his campaign, Crowne calls in his old friend who is the new sheriff in town, Norman Osborn and former super-villain Green Goblin. 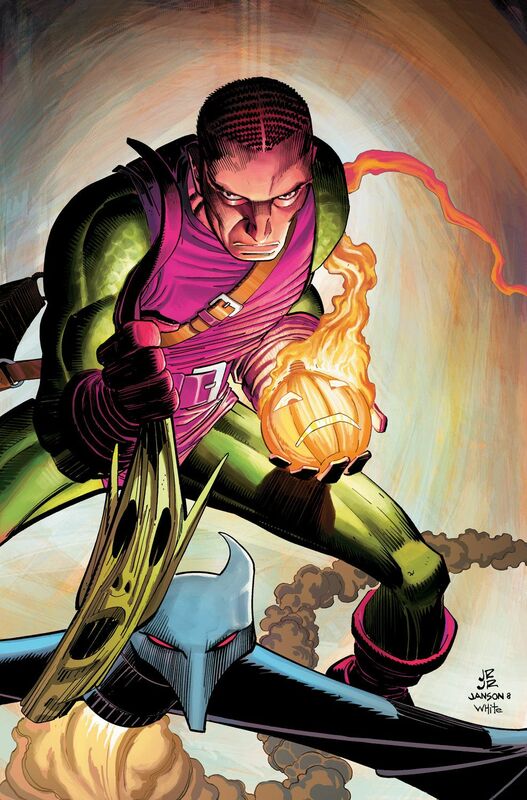 They agreed to a deal that Osborn will bring his parade of goons in Thunderbolts to apprehend the web-slinger. Plus, there is a story of a "Spider-Tracer Killer", which really makes it all easy to follow. Bennett from DB sends Betty Brant to investigate a rumor of terminally ill patients getting miraculously healed in the homeless shelter at F.E.A.S.T. Center ran by billionaire Martin Li. She finds cancer patient and former host of Venom symbiote Eddie Brock residing there as a volunteer ever since Li has offered him a second chance at life. To capture Spider-Man, who is now a fugitive with murder acquisitions, Osborn led a raid on the apartment of Peter Parker with Radioactive Man, Songbird and Venom from his Dark Avengers team to interrogate him about how to contact the wall-crawler as he keeps taking his photos for years and must have some means to contact him. Even though Os-Man has no idea about Parker secretly being the Webhead he is looking for, he suspects they have some sort of working relationship. However, Normie had to leave Pete alone upon the arrival of his policeman roommate Vin Gonzales. Meanwhile, Eddie has discovered that he's been miraculously cured of his cancer. Director Osborn sends his Thunderbolts team looking for Spider-Man over the city but the hero sneaks into his lair to confront the madman after taking down his security officials and webbing up Bullseye. When he hears Mac Gargan heading to F.E.A.S.T. Center looking for him, Spidey immediately rushes after the maniac to save Aunt May. Gargan ran into Brock there and the latter suddenly transforms into Anti-Venom in response to the presence of a Venom symbiote nearby when it tried to bond with him again. Brock starts attacking both Venom and Spidey at the same time but ultimately concentrating on the former to cure him off his symbiote, considering it a plague on humanity. Brock then teams up with the wall-crawler to take down rest of the Thunderbolts, who were eagerly waiting to get a piece of them. From a nearby roof, Osborn was observing the fight and then has a run-in with Menace, who comes at him out of nowhere but the former goblin quickly turn things around into his favor and throw off the attacker. 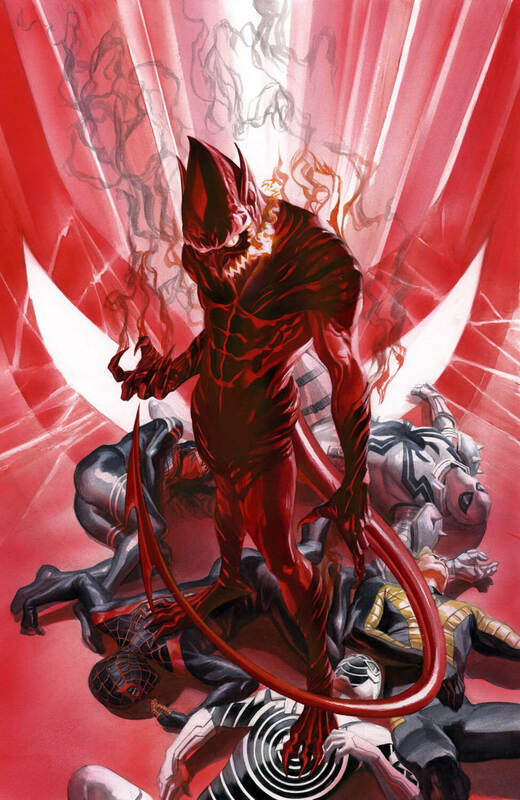 He then calls of Songbird and the other with the de-powered Gargan and back at Oscorp, he produces a counter formula using Anti-Venom's white symbiote substance. He also reverse engineered a targeting system using Peter Parker's camera from the roof for his henchmen to have a lock on Spider-Man's chest and shoot him down. 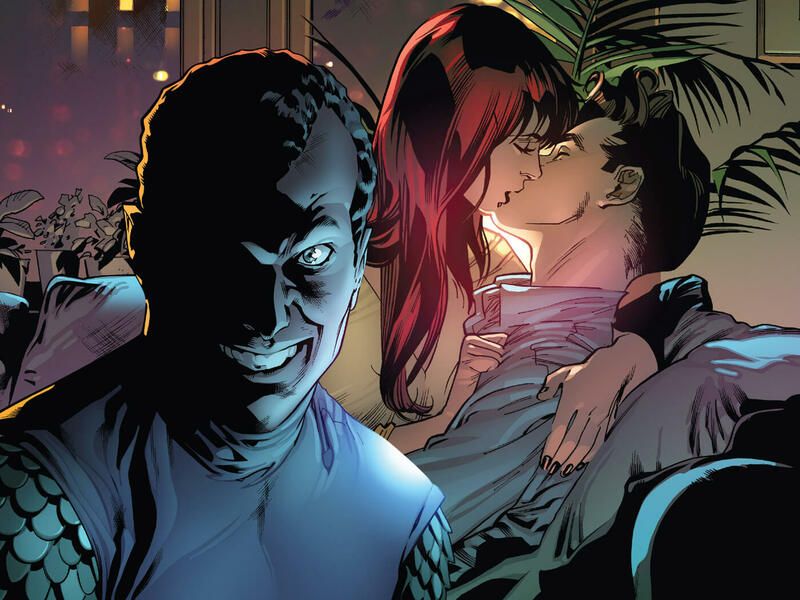 While sorting out personal issues regarding his girlfriend Lily Hollister and her father Bill being hospitalized after an attack from Menace, Harry Osborn finds out that his father has not changed to normal at all and is back in his goblin persona. Each with their own goal in mind, Anti-Venom and Spider-Man teams up to take the fight to enemy. For more information on Amazing Spider-Man – New Ways to Die storyline, you can check out these links below. Here is your links to buy "Amazing Spider-Man – New Ways to Die" from Marvel Comics in issues on Amazon. Here is your links to buy "Amazing Spider-Man – New Ways to Die" from Marvel Comics on Amazon. 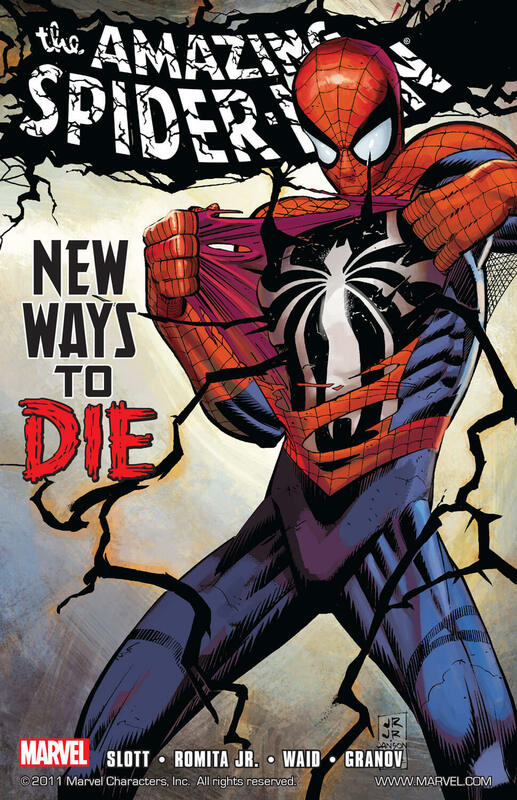 "New Ways to Die" is a six part comic-book storyline that took place in Amazing Spider-Man monthly ongoing series from Marvel Comics in 2008, collecting issues #568-573. 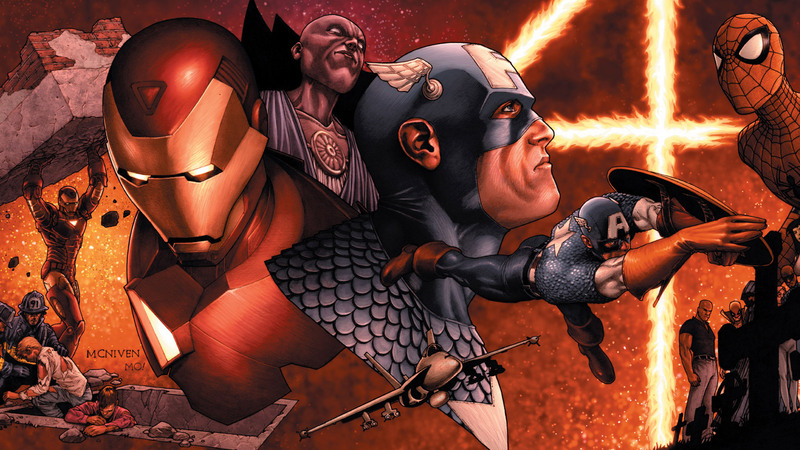 Writer Dan Slott (She-Hulk, Silver Surfer) and Mark Waid (Daredevil, Fantastic Four) collaborated with artist John Romita Jr. (Avengers Vs. X-Men, World War Hulk) on this one. Eddie Brock is no longer Venom and earlier, he was diagnosed with cancer (Spectacular Spider-Man – The Hunger). It happened because of his long exposure to the symbiote and it then chose former Scorpion, Mac Gargan as the newest host. 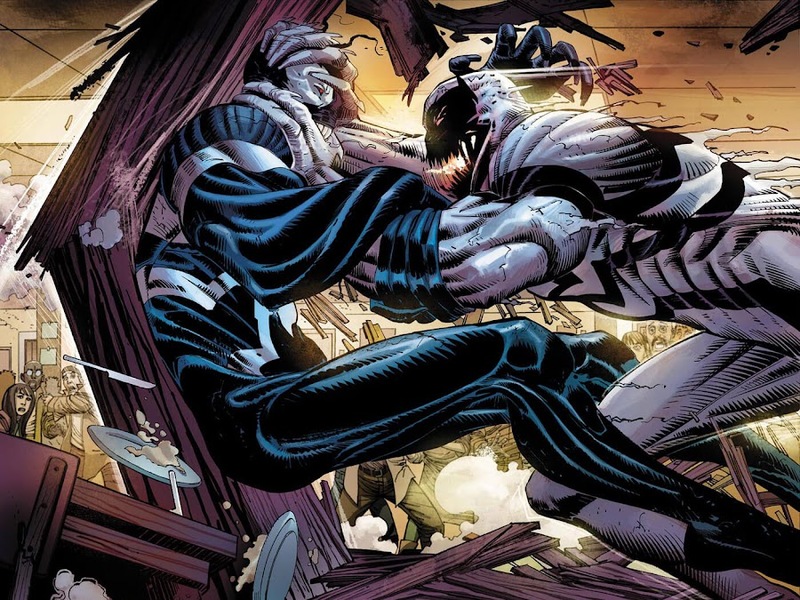 Eddie has become Anti-Venom, latest member to the symbiote-family and an arch-enemy to the black suit. As the events of "One More Day" takes effect, neither Brock nor Osborn knows who Spidey is anymore and in a situation like he is right now where almost everyone wants him dead, it is one of the blessings Peter counts on. Now, one of them chases him and the other becomes a temporary ally who offers a helping hand against an awful odd. Following his transformation, Eddie became more powerful than ever and at the same time, became friendlier than his usual "Lethal Protector" style. Though Martin Li remained inert for this plot, he may have larger plans to execute in future as Mister Negative. 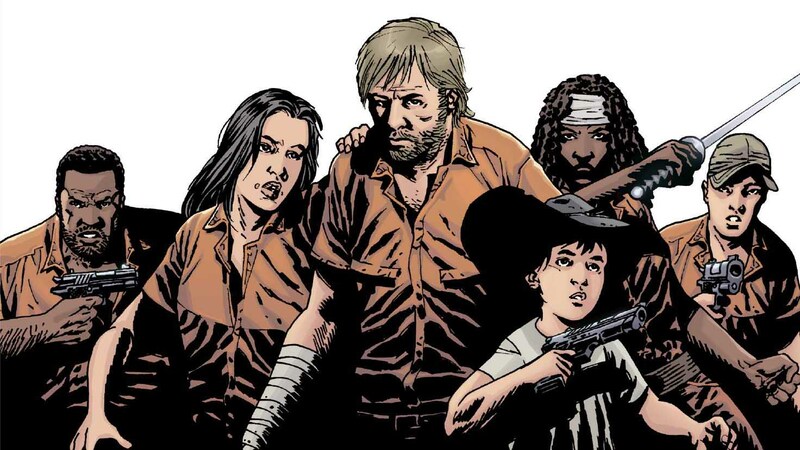 Osborn will return with another of his scheme in the next arc "American Son".